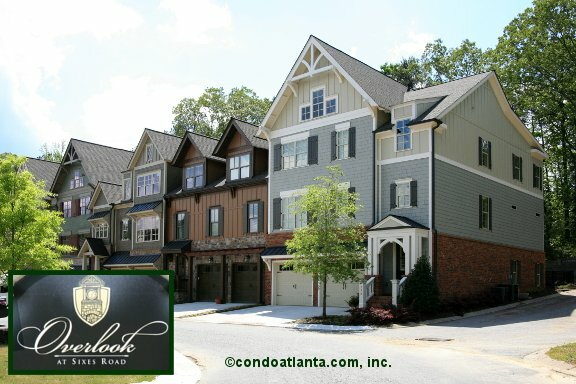 Overlook at Sixes Road is a luxury swim fitness clubhouse community of European-style townhomes (elevator capable) with sought after garage parking. Enjoy all the benefits of a home location near the lovely views, water sports and recreation of Lake Allatoona. Love living just a short drive to Olde Rope Mill Park, and Holly Springs. Commuters will appreciate access to travel routes along Sixes Road, I-575. Community amenities include a swimming pool, and fitness gym for the enjoyment of Overlook at Sixes homeowners.